A middle-aged Parisian woman negotiates a series of failed romantic relationships. Loosely inspired by Roland Barthes' 1977 text 'A Lovers Discourse: Fragments', Let the Sunshine In is one of those insufferable French movies in which a middle-aged protagonist seems to have no real world concerns beyond the satisfaction of their libido. Usually these things feature pudgy fiftysomething men moaning about being torn between two or more improbably attractive twentysomething lovers as if it's as tortuous a dilemma as Sophie's Choice, but director Claire Denis turns the gender dynamic on its head here, giving us a fiftysomething female protagonist, albeit in the age-defying form of Juliette Binoche, who could still pass for a woman 20 years younger than her real age. No other film industry boasts such a disparity between the attractiveness of its male and female stars as France's. There's a scene in Let the Sunshine In that sees Binoche share the screen with Gérard Depardieu, and it's difficult to believe both performers are members of the same species. Actually I tell a lie when I say they share the screen, as we never actually see the pair in the same shot, presumably because no lens is wide enough to fit another actor in the same frame as Depardieu. I'm not saying the legendary Gallic star has let himself go, but he now casts a bigger shadow than the Eiffel Tower. The encounter comes at the end of the movie, and with the portly Depardieu spouting nonsense as a 'psychic', it's hard not to think of Martin Sheen's encounter with Marlon Brando's deranged Colonel Kurtz at the climax of Apocalypse Now. It comes at the end of a journey into the heart of darkness of romantic relationships, Binoche's divorced artist (of course she's an artist) macheting her way through the jungle that is the Parisian dating scene. Isabelle meets and bafflingly falls for a series of cartoonishly boorish and narcissistic men. First up is married banker Vincent (Xavier Beauvois), whose roaming hands and snobbish humiliation of a barman make Harvey Weinstein seem like a shy and retiring type (what rhymes with 'banker'?). Then there's a self-obsessed stage actor (Nicolas Duvauchelle) who invites Isabelle to dinner only to spend the evening talking about himself and his wife. Later a creepily anguine lounge lizard (Paul Blain) seduces Isabelle with a presumptuous dancefloor technique that would see him arrested anywhere outside France. It's hard to imagine the most desperate spinster falling for any of these cads, let alone one who looks like Juliette Binoche. 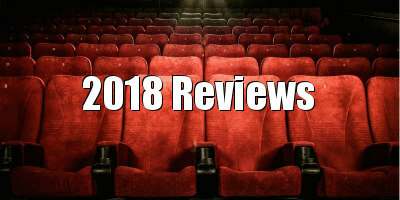 The film asks us to sympathise with Isabelle, but I merely wanted to sit her down and knock some sense into her, and her actions become increasingly frustrating and difficult to swallow as the film progresses. This is a woman in her fifties, yet she behaves like a 14-year-old, treating relationships in a manner the rest of us get past after a few bad experiences in our college years. What is it with the French? For a movie written and directed by women, it's remarkably regressive in presenting us with a heroine who only defines herself by the men in her life. Despite being a seemingly affluent artist, Isabelle doesn't seem to have much going on when she's not courting bastards, and when we do get to see her interacting with a female friend the conversation revolves around said male gits (take that Alison Bechdel!). If a male filmmaker made this he would be (rightly) crucified. But this was made not only by a female filmmaker, but by one of the best women directors we have, which makes it doubly disappointing. 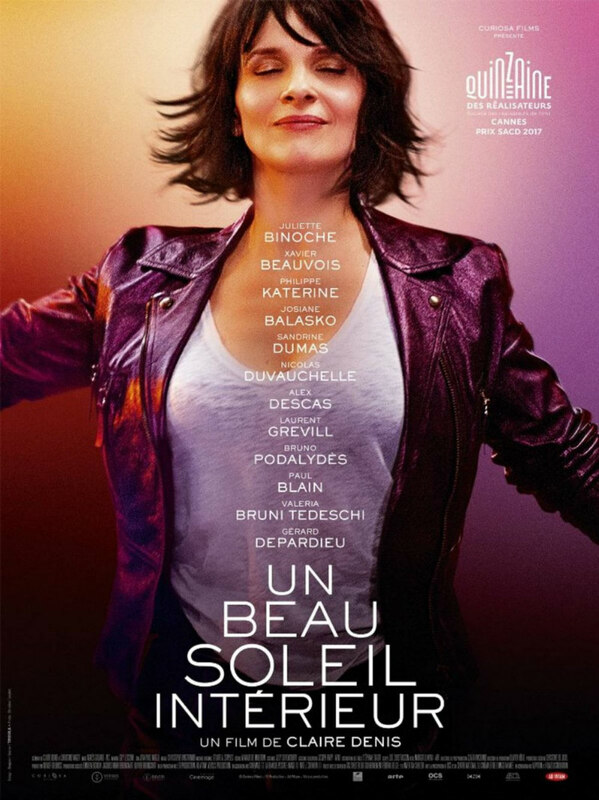 Aside from its gender politics, it's odd to see Denis give us a film with such bland, privileged, middle class characters, given how she's been France's great chroniclers of the working class in the past with films like Beau travail and 35 Shots of Rum, a milieu that she seems far more comfortable in, and one I hope to see her return to following this unsatisfying digression. 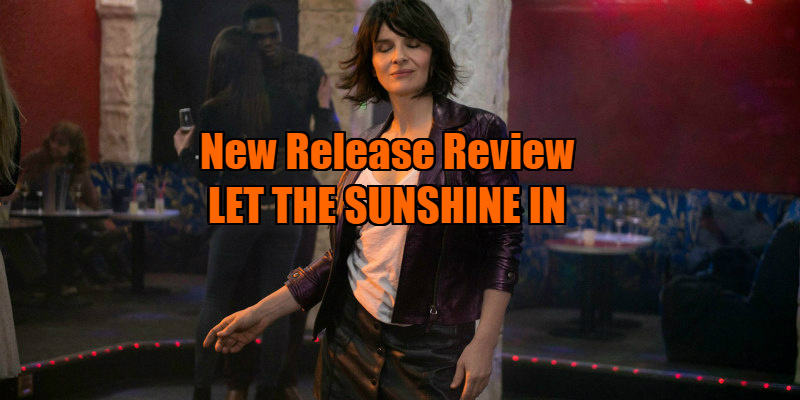 Let the Sunshine In is in UK/ROI cinemas April 20th.